As you might have heard or read, the original plan of mine for patch 3.3.4 for Mental Omega was to have it contain the conclusion of the Act Two storyline - the remaining 7 missions, the names of which you already know. 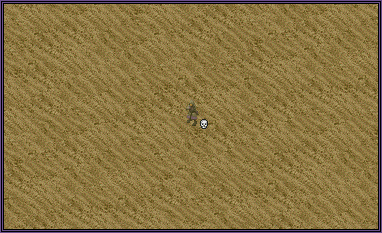 After some thought and some recent developments, I've decided to switch the plans a bit and release new content to the players sooner, since I've known for a while that these final missions of Act Two would take more time and effort than usual to be completed, and a release earlier than in December would not be possible (and this date is not final either). As such, there's going to be an additional patch in Summer - the 3.3.4 update will become something different than I initially intended. The Great Beyond is the 2nd out of three additional missions for the Foehn Origins. Back when I first announced Nobody Home for Foehn, I intended for the Origins campaign to have 3 missions total, however, thanks to Esther and Ollerus, the final number of missions in it will be 6, with the last 2 missions to be released alongside the finales of Allied, Soviet and Epsilon campaigns. While Covert Ops are mostly side stories, Dawnbreaker and Brothers in Arms are both part of the final Soviet story arc: the liberation of Russia from Yuri's hands. As the Soviet task force on the Moon is preparing for their counter attack, the forces that remained on Earth after Meltdown begin the grand operation ahead of them, preparing the grounds for the major siege of Moscow. Eclipse is a Chinese mission which takes place during their invasion of Japan in Act One. Survivors shows what Malver has done after Obsidian Sands, while Nightcrawler does the same for Rahn. Taciturn takes place between Act One and Act Two and is about Yuri's forces chasing down a Chinese agent who has found out the big Russian secret. 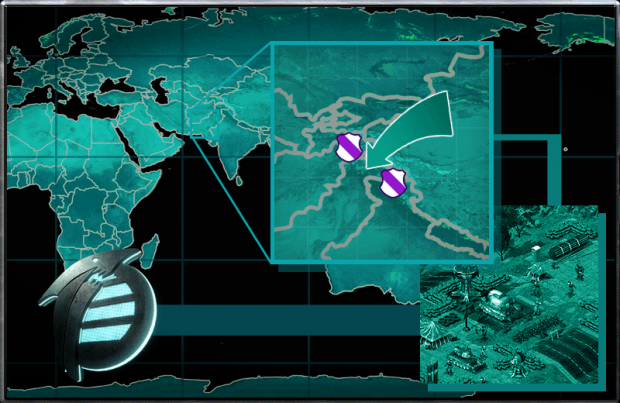 The Allied Covert Ops, Fullmetal and Gridlock show what challenges the other task forces from the Paradox Expedition had to face, while the Paradox Engine itself was moving towards Cape Town. Send us all the feedback regarding the proposed changes for the new update at the usual places. 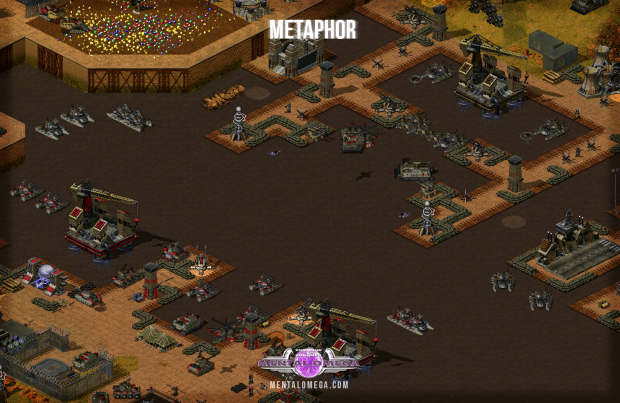 Long live Command & Conquer! That's all for now, stay tuned for the 3.3.4 release and more news to come! We always welcome additional Voxel Artists, 3D & SHP Artists, Mission Scripters and Voice Actors. Single contributions are also welcome and will speed up the development of the mod. Finally, the newest patch for Mental Omega is here, and it is quite a milestone. The update 3.3.3, which includes Ares 1.0 by AlexB, marks the release, in which the save/load functions have been restored. Yes, you read that right - SAVE/LOAD FUNCTIONS ARE BACK IN MENTAL OMEGA. 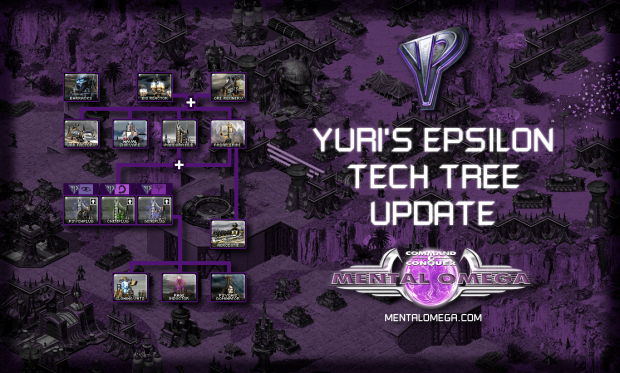 Additionally, since we've skipped Ares 0.E, we can mention that AlexB has also delivered another selection of improvements to Red Alert 2 Yuri's Revenge game engine. Like always, you can either use the Mental Omega Client to perform the update or download the files manually and extract them to your Mental Omega folder. It's also worth mentioning again that our website supports two other languages, with language packs for the mod, which have been updated to work with update 3.3.3: Chinese and Russian. So, if you didn't get it the first few times: update 3.3.3 fixes save/load, so if you've been stalling your quest through the Mental Omega campaign, waiting for this feature to come back, now is the time! In addition: a customized version of the FinalAlert2 map editor, which is compatible with Mental Omega 3.3, is included in this update and accessible through the mod's client. If you are a Windows 10 user and you've been experiencing issues with Mental Omega multiplayer recently, this update should fix those issues for you. If that doesn't happen, let us know. Also, you might want to try the new renderer, DDrawCompat created by Narzoul - it might enhance your game performance, especially if you are using the aforementioned Windows 10. The 3.3.3 update comes with 11 new singleplayer and cooperative missions, steadily approaching the conclusion to Act Two of Mental Omega. It also marks the release of first 3 missions for the 4th faction, the Foehn Revolt. In the story, they take place after Machinehead. The 3.3.3 update includes full mission briefings for all of the new missions, meaning that this time there are none without one. In addition to the new story-based maps, a new Challenge map has been added, with its own unique trait, and several previously released ones have been heavily revamped. Heroslayer Challenge against the enemies with a powerful "army of clones"
Just like the last time, let's now talk about important gameplay changes, balance tweaks and bugfixes in this patch. a new unit has been introduced into the Foehn navy, the Whipray: it is an anti-aircraft drone ship with a confusion rifle and a 'Golden Rocket' launcher, which requires a Cloud Piercer to be built. With its introduction, the Swordfish loses its AA capabilities, but also gets a price decrease to compensate. Send us all the feedback regarding the new update at the usual places. The developer playthrough of Mental Omega campaign continues on our YouTube channel. Videos for each of the new missions, on Mental difficulty, will soon be available on it. Here's Nobody Home, the beginning of the Foehn Origins. That's all for now, stay tuned for more news! The time has come to roll out the newest patch for Mental Omega, update 3.3.2, which includes Ares 0.Dp1. 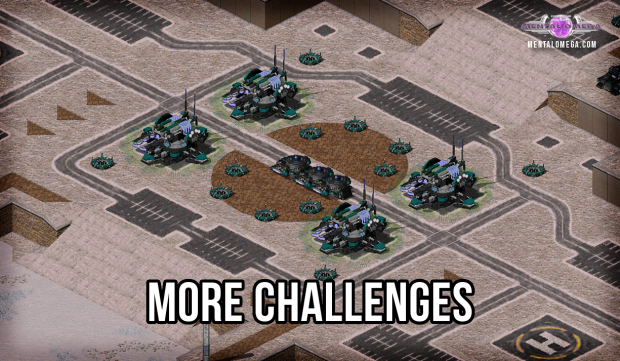 Once again AlexB delivers a wide selection of improvements to Red Alert 2 Yuri's Revenge game engine, which allows us to focus on new features and important gameplay tweaks that further enhance our mod. Furthermore, more fixes and tweaks to the Client created by Rampastring have been done in recent weeks, the most important one being changes to which files are compared between players on CnCNet. 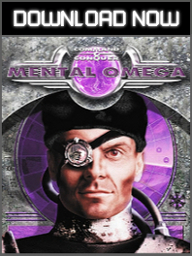 Just like the last time, you can either use the Mental Omega Client to perform the update or download the files manually and extract them in your Mental Omega folder. It's also worth mentioning that our website supports two other languages, with language packs for the mod soon to follow: Chinese and Russian. The 3.3.2 update comes with 13 new singleplayer and cooperative missions, further continuing and expanding the story of Mental Omega. The 3.3.2 update also (finally) adds full mission briefings to many of the Act Two missions that are currently available. In addition to the new story-based maps, 4 new Challenge maps have been added, each with its own unique trait. Additionally, a lot of these new maps include a new tech building: Tech Reinforcement Pad, placed usually somewhere near the center. Capture it to get free unit drops. Now let's talk some of the most important gameplay changes, balance tweaks and bugfixes in this patch. Soviet mission 'Noise Severe' has been moved, along with 'Archetype', to a new section in the mission selection screen called Covert Operations. Any additional missions that are not part of the main story in Act One and Act Two will appear there from now on. Since 'Noise Severe' does not affect the main story in a major way, I've decided to move it and make room for one more Soviet mission between 'Earthrise' and 'Death's Hand', which will be called 'Fatal Impact'. Stolen tech units now require infiltration of both the advanced technology building (Tech Center, Soviet Lab, Pandora Hub, Cloud Piercer) and the respective side's ConYard. The mod should now properly default to English to prevent launch errors if Mental Omega files were extracted to a directory with the version of the game in a different language. Superweapons toggle is no longer permamently set to 'yes' in Challenge mode, except for the 'Superweapons Challenge'. Mental AI Boost makes the AI even more difficult now. The CnCNet message that says 'Modified files detected! This person could be cheating!' should be more reliable now, so if you get one in 3.3.2, there's most likely something wrong with someone's Mental Omega setup and they could in fact be cheating with modified files. 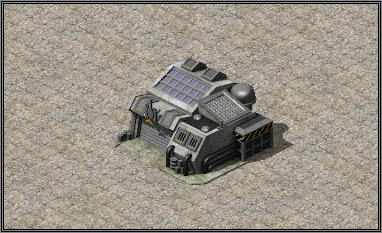 Thanks to Ares updates, units can no longer be used to block War Factory or Refinery entrances with the use of ALT key. Foehn MCV prerequisite has been changed from Nanofiber Loom to the Cloud Piercer. Haihead AI will now properly use the M.A.D.M.A.N. against you. EMP Mines, M.A.D. Mines and Genomines are no longer instantly active after their placement, they require a few seconds to become armed. The developer playthrough of Mental Omega campaign continues on our YouTube channel. One of the new missions added to the mod in this update is a remake of a classic Mental Omega 2.0 mission, now known as Paranoia, and it's as difficult as ever! Remember, everything in this jungle is out to hunt your heroes down. The other missions will be uploaded to the channel too, eventually. So, in case you missed the big news, Mental Omega 3.3 has been released over a month ago. First of all, I'd like to express my sincere thanks to everyone involved in the development of this new version, most notably: AlexB, the current developer of Ares DLL, Nooze, the designer of majority of the new side's visuals, World Beyond, the artist behind new side's soundtrack, Rampastring, the developer of the new client, Mevitar, ONEX, Azri_Apoc, the designers of majority of new mechanical units, Seoras, De'Lante, for voicing so many units added after 3.0 and also Toveena, Alstar, Lovalmidas, Cesare, Sandman, Esther, iForce, Martinoz, Ollerus, Nolt for designing maps, missions, various story and gameplay elements and of course lots and lots of testing. For the full list of credits please visit this section of our website. Thank you, you made it possible to take this project this far! 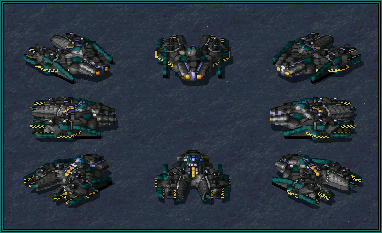 The new release adds an entirely new faction - the Foehn Revolt - to the previously heavily modified vanilla sides from Command & Conquer Red Alert 2 Yuri's Revenge, which were already divided into 3 subfactions each, the new one being no exception. Haihead, Wings of Coronia and the Last Bastion are the subfactions of Foehn and each comes with its unique units, buildings, support powers and heroes. There are also new additions for the Allies, the Soviets and Yuri's Epsilon, as well as new missions, skirmish maps and game modes. What's also important is that the new release makes use of Rampastring's client, originally created for Dawn of the Tiberium Age mod, which allows us to do some interesting things. The most important thing this client has given to Mental Omega, is the possibility to use version 5 of CnCNet for multiplayer services. Since the release, there've been many players on our server with the amount of players peaking at around 150 at times. According to Rampastring, there've been 44 000 unique users of the client in a month since the release, which I think is nice for a mod. The new Mental Omega version arrived with an updated soundtrack, to keep the tradition of giving each of the factions a unique one. 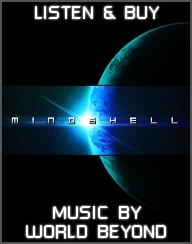 The soundtrack for the Foehn Revolt is an album called "Mindshell" created by World Beyond, which is available for download on his Bandcamp page in best quality. You can also listen to it on his YouTube channel. Now would be a good time to discuss what's ahead. We are aware there is a group of players who can't start missions at all, this is one of the fixes that will be included in 3.3.1 in a form of an Ares DLL update. Initial 3.3 release did not contain all of Act Two missions, so there's more of those to come for sure. We have several missions more already finished, but they require additional polish and internal tests before they are included in one of the Mental Omega updates. Speaking of those, we've been following your feedback and comments in all places possible and so here's a proposed changelog for the first mod update, for which there is no date just yet. Keep in mind this is not final, discuss it here. One thing we want to expand for sure and already in patch 3.3.1 is the Challenges mode. These are quite fast and fun to make and it seems like many people are trying their best not to lose those battles. These challenge maps are made with an uncontrolled difficulty mindset, meaning that don't expect a balanced fight getting into those. Remember that you can adjust the difficulty and handicap of challenge maps using standard skirmish settings, and like with everything else, there's three difficulty options and the additional Mental AI toggle, which replaced the Meteor Shower mode in 3.3. New additions to the arsenals of Mental Omega factions are a possibility but not a priority right now, but if you have suggestions in regards to what you'd like to see next in the mod, let us know. That's all for now, stay tuned for more announcements! So what are we doing these days? We are mostly testing. I know this is taking time but there's only a few of us and we're making the mod in our free time. If we were Westwood in their prime, we'd do this all in half a year probably but we're not. We're just modders. We're testing the client created by Rampastring of the Dawn of the Tiberium Age fame who's been so kind as to help us get the next version of Mental Omega, which has now been labeled 3.3, to work with CnCNet5 and make use of other various advantages that this client provides. If you're not familiar with DTA, you should check this video to see what it's all about. We're also testing new and old missions, skirmish for bugs and crashes and of course doing some balancing since an entirely new side is now involved. 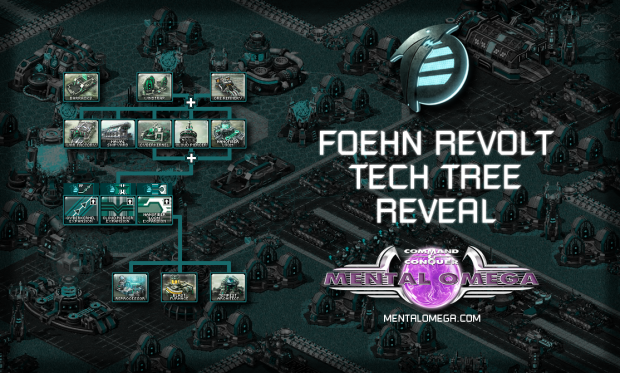 Speaking of the 4th side, the Foehn Revolt, I've prepared this short video which reveals the recent additions to the unit roster of Mental Omega in more detail. 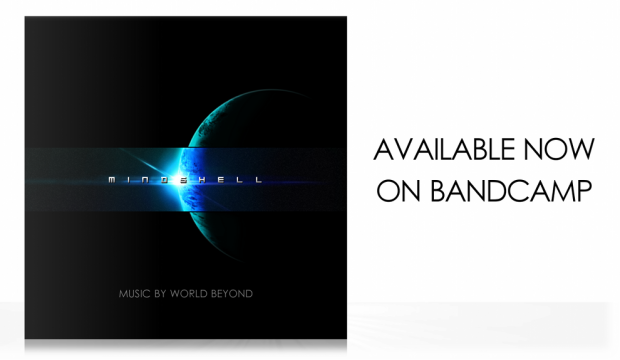 The music for this preview has kindly been provided to us by World Beyond whose music will comprise the soundtrack of the Foehn Revolt. Go and check his entire catalogue, it's great. As I have tweeted quite recently, we've finished creating and voicing the units for the Foehn Revolt and there will be about 50 of them in its first release. 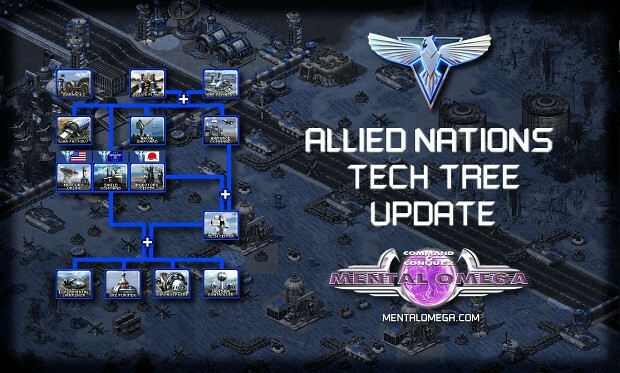 After that, if we get some good ideas for new ones we will expand their tech tree accordingly. The only thing that will not expand is the stolen tech roster once it hits 16 units. And speaking of stolen tech.. The new stolen technology roster: 8 units to go. Two additional stolen tech units have been revealed: the Allied Quickshifter and the Epsilon Salamander. 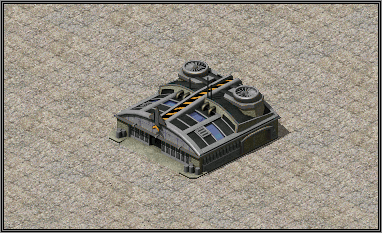 The Quickshifter becomes available after the Allies have constructed their War Factory, their technology buildings and also infiltrated an enemy Allied Tech Center. There are traitors on the battlefield after all, right? People have been asking 'how do the Allies get more tech from the Allies', I wouldn't know, but hey, we all know how stolen tech works in this game. It's always a fun way to acquire some special units during a skirmish. 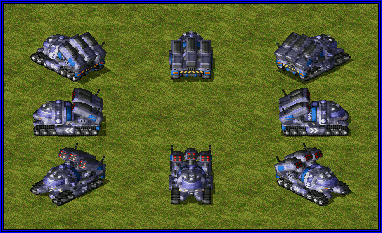 The Quickshifter is the new chronoshifting tank which uses a missile barrage similar to that of the Aegis Cruiser. Compared to the Chrono Legio nnaire, Quickshifter deals standard damage which is something that might make it even more dangerous than the trooper. Additionally, it can target aircraft and transport a single passenger, effectively making it a chrono transport. Thanks to Ares DLL though, this passenger is unable to leave as long as the Quickshifter is still warping in. The ridiculous oversight of chrono transports in mods that didn't rely on Ares was that a passenger could leave the chrono transport as soon as it appeared on the target cell, so imagine what was happening when that was combined with a Navy SEAL and his C4. The Quickshifter does not have this issue. The Salamander is essentially the next generation Basilisk which was possible to be built thanks to some of Foehn's advanced technology. When an Epsilon Proselyte manages to infiltrate a Foehn Cloud Piercer with the use of his Infiltrators, he receives access to their confusion ray technology, which Epsilon technicians combine with many, many A.R.O. launchers. This forms an aircraft with incredible firepower and a way to prevent enemy forces from even firing back. The Salamander can target both ground and air units alike and has two types of confusion rays. The first one will be fired at range, with reach similar to its A.R.O. launchers. The second one will be activated below the aircraft, making all enemy units in an area below target each other instead of the Salamander or any other unit that belongs to you. Salamander is slow and its armor is not that great, however it'll be quite tricky to even damage this unit considering its eclectic weapon combination and quite a large range. But enough about the stolen tech units, let's take a closer look at the new units of the Foehn Revolt. The Draco is a very unique tank which acts as a basic combat vehicle for the Wings of Coronia subfaction of Foehn. While its basic speed and durability are nothing spectacular, Draco Tank has two special characteristics that make it very effective in battle. First of all, it is equipped with devices similar to those of a Jackal Racer or Sweeper which make it receive high speed boosts whenever they are nearby a Spinblade. Once a Draco has been boosted, it can outrun even the Mantis Tank of the Scorpion Cell, which is said to be one of the fastest main battle tanks in the world. The other special feature of the Draco is the ability to detach its turret upon destruction and allow it to act as an autonomous aircraft unit. The turret is in fact a small drone which, while it won't be able to withstand too much anti-aircraft fire, might still give the Foehn Commanders the necessary edge to win an armored battle with the enemy tanks. The presence of Draco on the battlefield alone forces the enemies of the Wings of Coronia to not only rely on their tanks but anti-aircraft vehicles as well. Do not underestimate this little aircraft judging it by its size - Haihead's Diverbee is an extremely dangerous thing to see on the battlefield on the enemy side. Just like all the other aircraft of Foehn, the Diverbee makes the best of their wind control technology and never has to land on an airstrip. 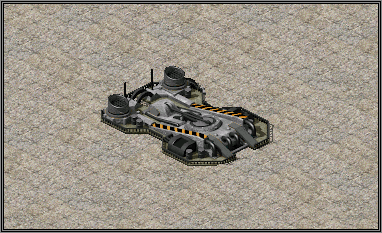 Once it catches on with your ground units, it will launch itself at them from a short distance and violently explode causing lots of damage to all types of armor and infantry as well. 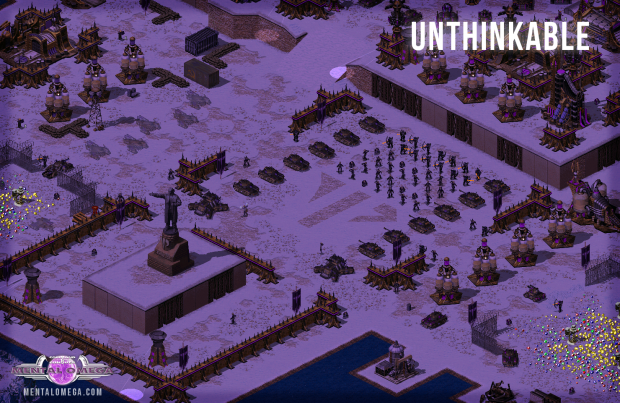 Since Haihead focuses on dealing as much damage to the enemy forces as possible, the Diverbee is no exception. It is a flying bomb capable of destroying the lighter of tanks in just a hit and taking down the heavier ones in a combination of three or four. It is however an expensive unit which requires full technology access on the Haihead's side and can still be shot down with a relatively small amount of anti-aircraft fire. Last but not least today comes the Minermite which is Foehn's harvester of choice. 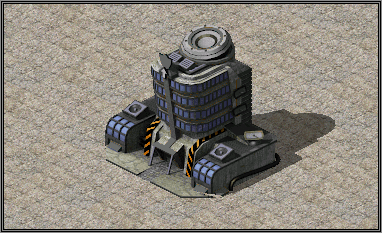 Tiny, is the word that describers this miner best: it's small, it's cheap, as it costs only $700 and makes the price of the Foehn Ore Refinery go down to $1300, and as expected, it has small storage for the harvested ore, half of what the Allied Chrono Miner has. However, it is able to achieve high speeds and get additional speed boosts with the use of Spinblade, in a similar fashion the Draco Tank does. Minermite is also capable of repairing nearby mechanical units just like the Soviet Repair Drone or an IFV/AMC/Tsurugi or Stinger with an Engineer inside. This means that if many Minermites are working in a group, they'll be quick to repair each other if the enemy is trying to destroy these little harvesters. 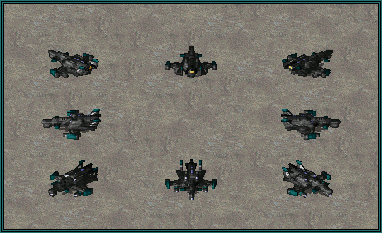 Don't be surprised when it turns out that you'll need to include more units in your early rushes than you expected to take down at least one in a small group of Minermites with. 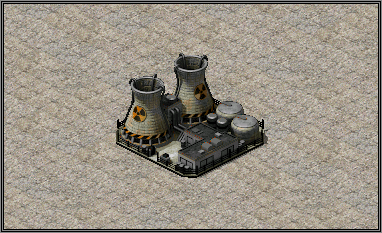 It's a capturable nuclear power plant! What else is there to say? It provides less power than the Soviet Nuclear Reactor, as it's only 1000 units but it also explodes less violently. Considering that being on full power is even more important in the next version, capturing one of these early game might help you perform a quick tech rush. Remember that if you are on low power in the next version, your production speed will fall by 50%. 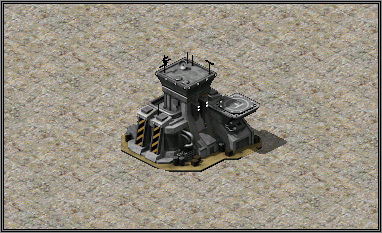 This is the updated Tech Missile Silo that grants you access to a powerful Missile Strike. 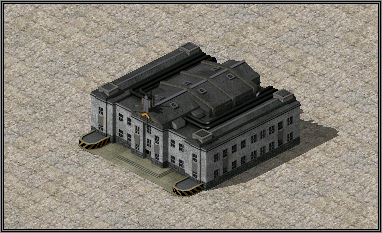 This is the first in a series of tech buildings which provide the units or defenses you build with initial veterancy thanks to Ares DLL academy logic. Tech Academy gives initial veterancy to your infantry. 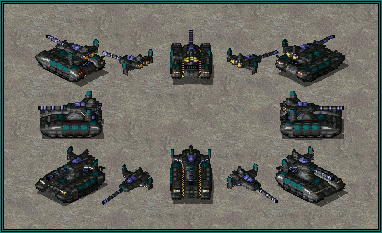 Tech Heavy Machinery gives initial veterancy to your ground vehicles. Tech Aeronautics gives initial veterancy to all of your aircraft, this includes jets, helicopters, blimps, flying saucers, Rocketeers, Hornets on Aircraft Carriers, all of those things. 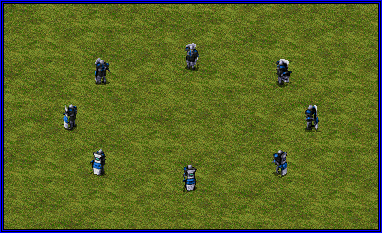 In Mental Omega defensive structures will also become stronger as they kill more units. We don't refer to this as 'veterancy' but simply 'upgrades' instead. 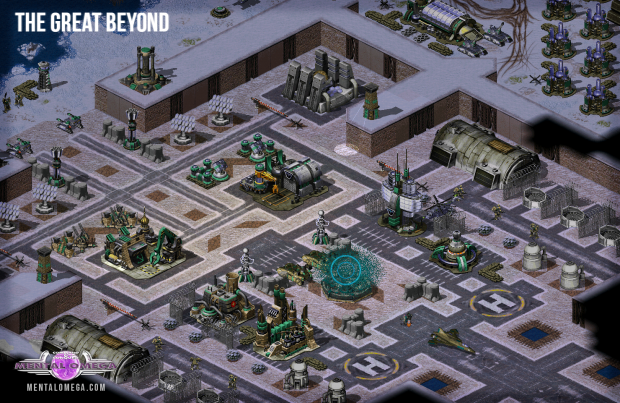 With a captured Tech Defense Bureau all the defenses you build will appear with an initial upgrade. Heavy Machinery doesn't give you veteran ships and neither does infiltration of an enemy factory with a spy. Capturing the Tech Military Docks however do. Note that this building is not placed on water, it is placed very close to it and that's what I recommend for mappers to do in the future. After all, Engineers cannot swim in Mental Omega. And that's it for today. Stay tuned for more updates and subscribe to our YouTube channel to get notified about new Unit Showcase videos. 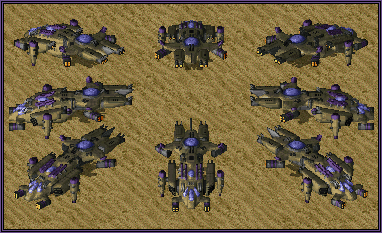 This is mostly a quick heads up about all the recent more or less stealth updates on MentalOmega.com. I have updated the information pages about the Structures, Infantry, Units & Tech Trees of the three original sides. This information now matches the state of the mod that it is currently in and will most likely be released as in the upcoming months. The Allied/Soviet/Epsilon Info pages that open the Factions information will be updated last as they'll contain lore and updated storyline details for each of the subfactions. The Foehn pages will be up shortly before the release so that the surprise is not (entirely) spoiled, and the new Stolen Tech page will appear last. There will also be a new trailer before that happens, in which you'll be able to see the Foehn subfactions in their full glory, including their bases with all their structures. 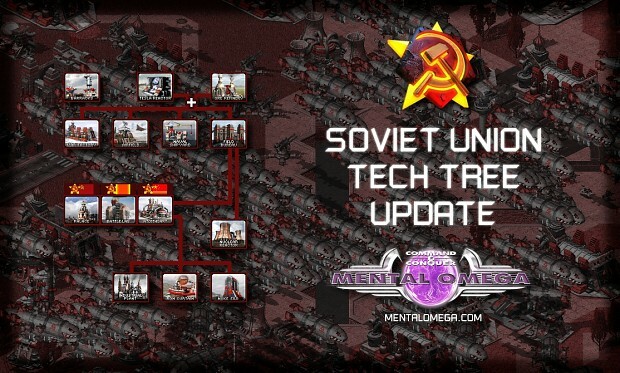 Quite an important update to these pages is the one made on the Tech Tree pages. You can now click on the icons to go directly to the object's/support power's profile. Mental Omega APYR is copyright 2004-2019 of Speeder & Mentalmeisters. 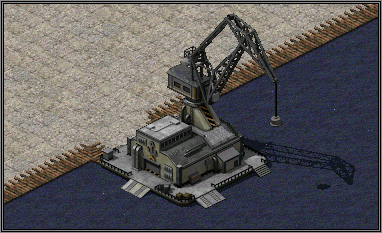 Command & Conquer, Red Alert 2 & Yuri's Revenge are trademarks of Electronic Arts Inc. All Rights Reserved.